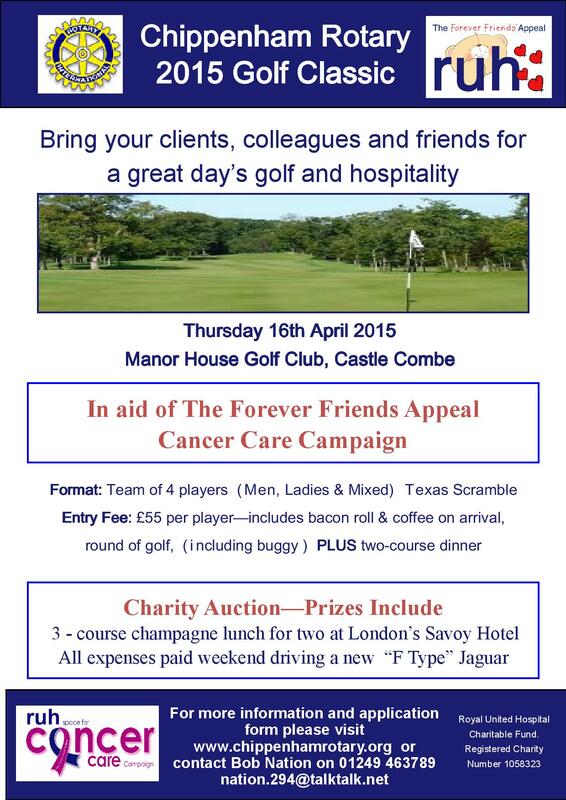 Wednesday 26th April 2017 – teams of 4 over 18 hole Texas Scramble. 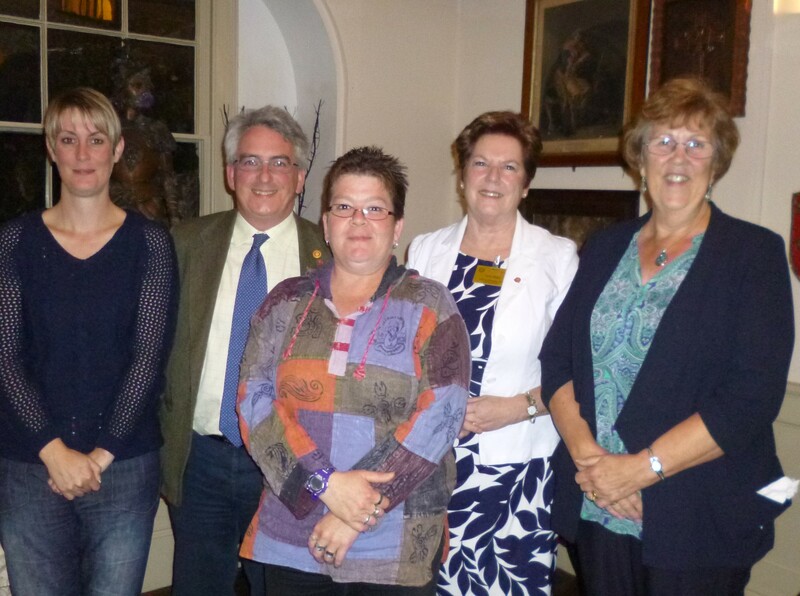 Last Thursday at the Rotary Club of Calne, Asst Governor Peter Wragg formally inducted the Club’s first five new Associate Members – Kate Tompkins, Ellie Farago, Gillian Farago and David and Rebecca Leaning. 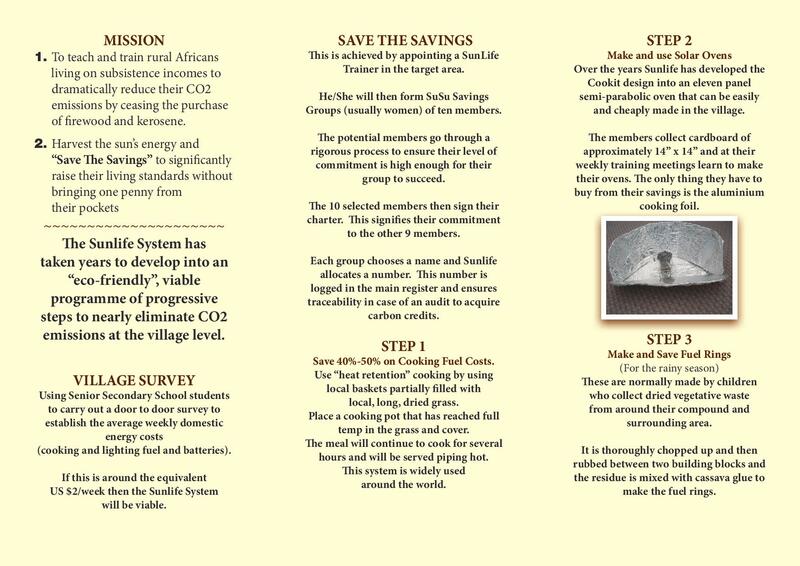 All five live in the local community and are involved in local businesses and voluntary work. President David Dillamore (pictured centre) said ”in the past Rotary had strict rules on attendance, which were difficult for potential members to adhere”. Now potential members can join as Associates and fit their membership to suit their lifestyle. 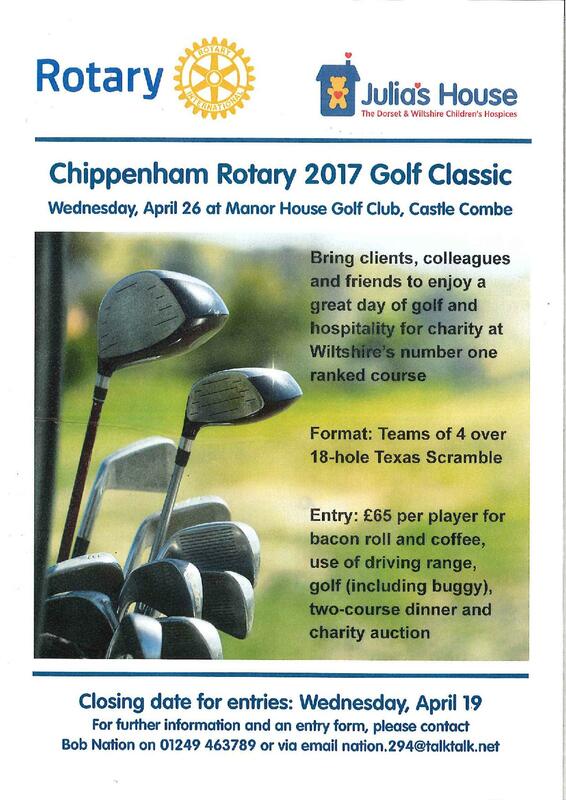 This initiative means that clubs like the Rotary Club of Calne can fulfil their challenges in the local community. For people who would like to be involved in their local community and International Events, this is for them. Once again the Rotary Club of Devizes were at the annual Devizes to Westminster Canoe Race (http://www.dwrace.org.uk/) over the Easter weekend. We gave away hot cross buns, hot pancakes and hot chocolate in return for a donation to support both local and international communities, but also to help keep both contestants and other visitors warm in the chilly, damp weather! 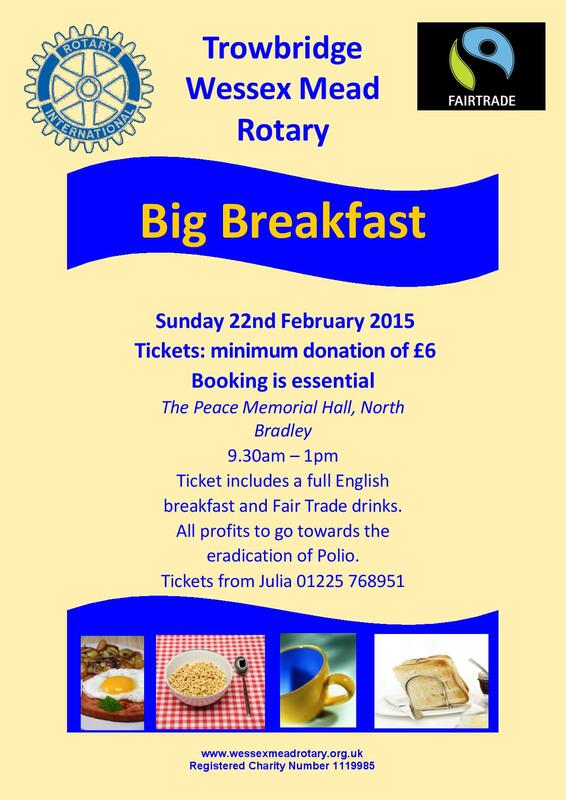 Big Breakfast at North Bradley 22nd February 2015. Booking is essential for this event at The Peace Memorial Hall, North Bradley. 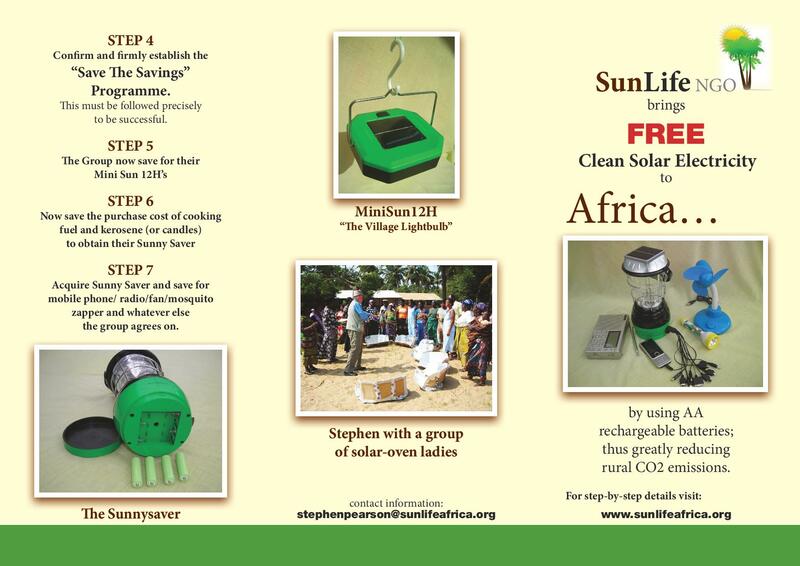 9.30am – 1pm on 22nd February 2015. 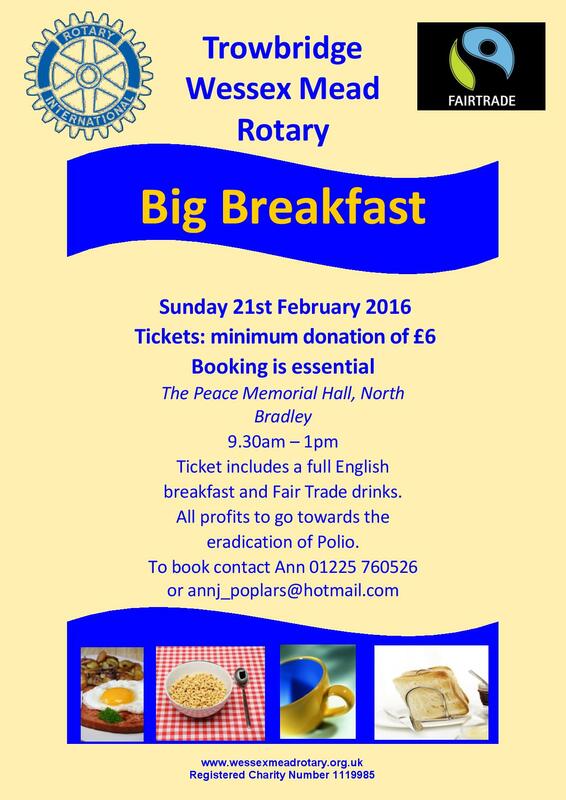 Ticket includes a full English breakfast and Fair Trade drinks. All profits to go towards the eradication of Polio. 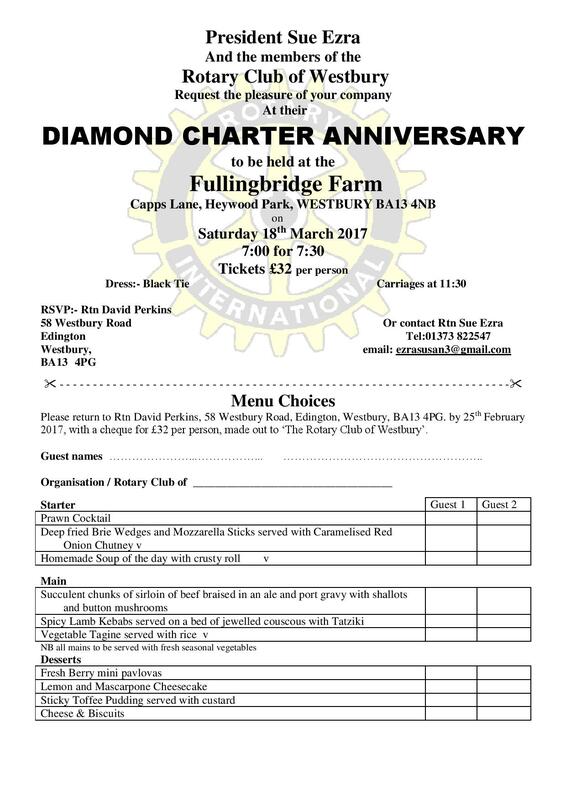 Organised by the Rotary Club of Trowbridge Wessex Mead.